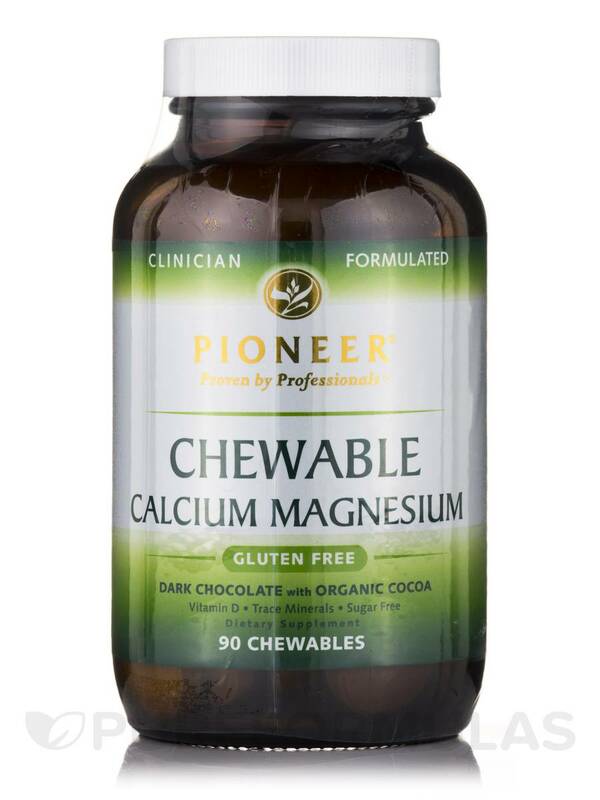 Pioneer® Chewable Calcium Magnesium contains well-absorbed calcium and magnesium‚ Vitamin D3 and synergistic mineral cofactors. Natural organic cocoa provides delicious taste. Enjoy! †Percent Daily Values based on a 2‚000 calorie diet. 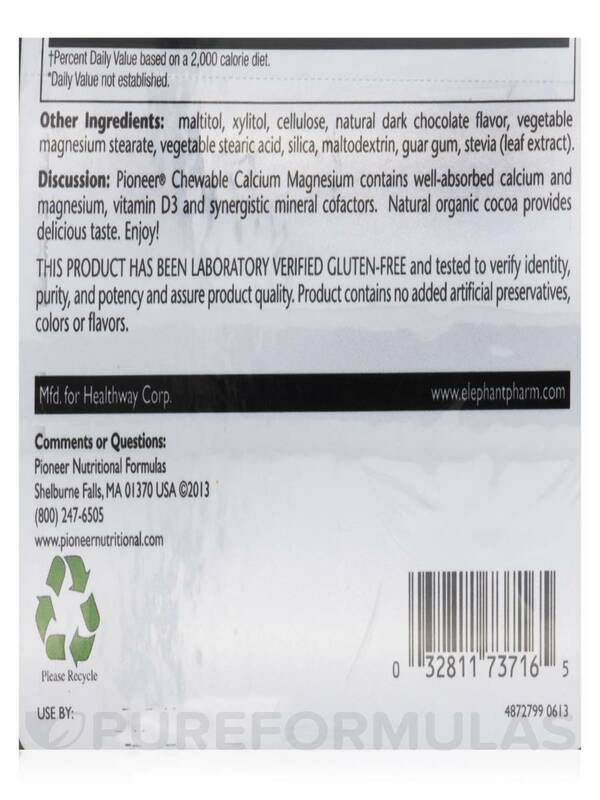 Other Ingredients: Malitol‚ xylitol‚ cellulose‚ natural dark chocolate flavor‚ vegetable magnesium stearate‚ vegetable stearic acid‚ silica‚ maltodextrin‚ guar gum‚ stevia (leaf extract). This product has been laboratory verified gluten-free and tested to verify identity‚ purity‚ and potency and assure product quality. Product contains no added artificial preservatives‚ colors or flavors. Use only as directed. 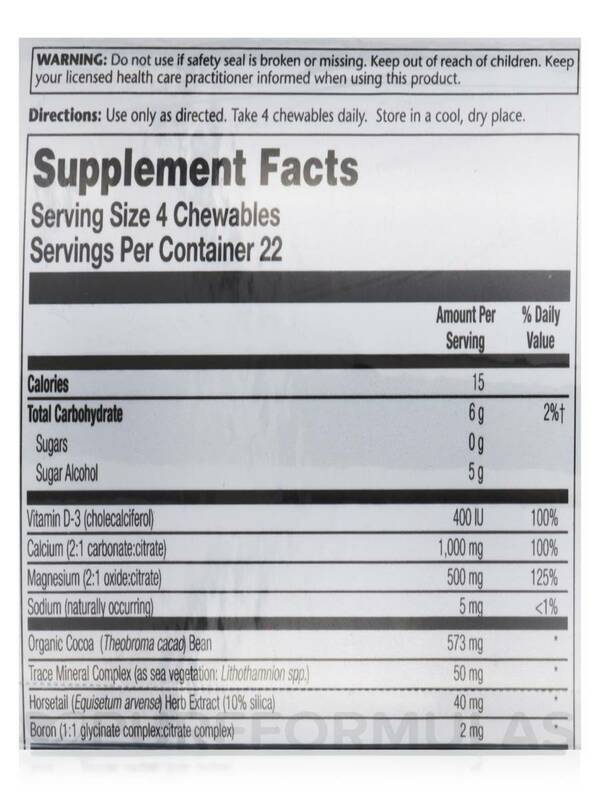 Take 4 chewables daily. Store in a cool‚ dry place. Do not use if safety seal is broken or missing. Keep out of reach of children. Keep your licensed healthcare practitioner informed when using this product. Much better than swallowing horse pills! 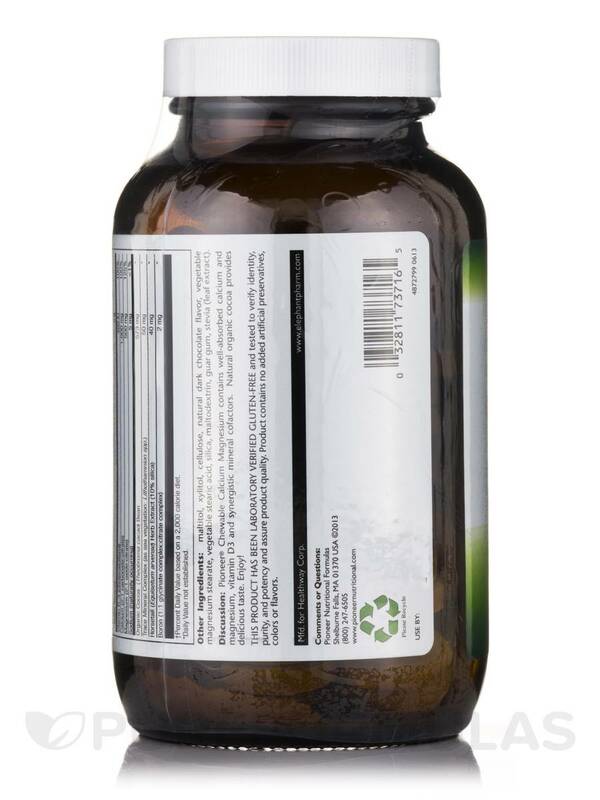 Chewable Calcium Magnesium by Pioneer taste good and have 1:1 calcium-magnesium that my doctor recommends. 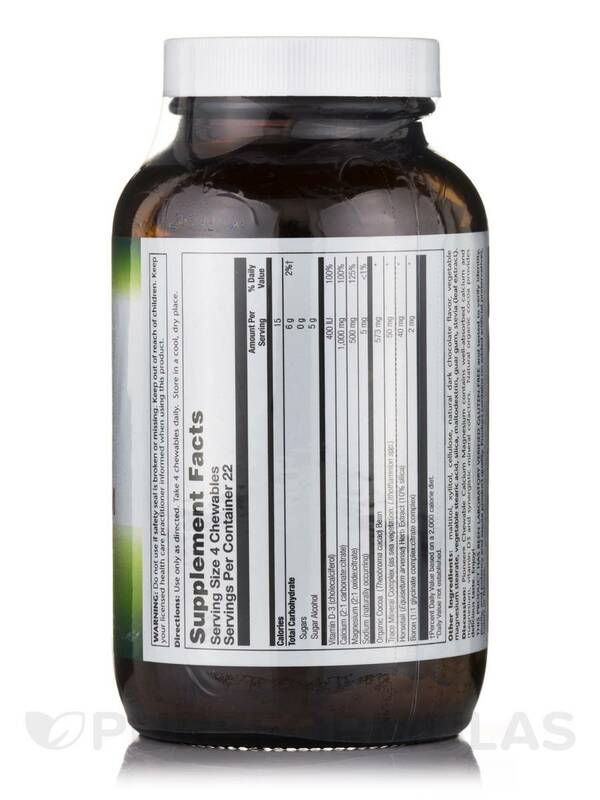 I'm on a lot of supplements so I appreciate having something that doesn't have to be swallowed whole. Everyone in my home did not like the taste and refuse to eat it...now Im stuck being the only one to finish Chewable Calcium Magnesium Chocolate Cocoa. Too bad the kids didnt appreciate it nor liked the flavor...Ill never know if it was a good product.